#1 Custom Home Builders Orange County & LA - 100+ 5 Star Reviews! *We take the security of your information very seriously and will always respect your privacy. LA & ORANGE COUNTY HOME BUILDERS YOU CAN TRUST. What's keeping you from starting your custom home project? If it's finding a general contractor you can trust; one that's reliable, dependable and highly rated, then we can solve that problem for you. We started designing and building great custom homes way back in 1979. Since those days we've stuck to our philosophy. Never in 40 years have we compromised on the core values that make up our services. Trust, integrity, and over-delivery on client expectations have helped to define what we mean to countless clients across a broad stretch of local areas. From Malibu to Newport Beach, we've staked our entire business reputation on delivering excellent custom homes all around Los Angeles and Orange County, CA. 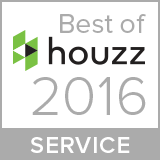 It's the reason we have over a hundred 5-star reviews on Yelp, Houzz and Home Advisor combined. 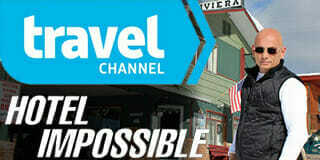 Our work has also been featured on Travel Channel's Hotel Impossible. At Mr. Build we specialize in designing, planning and building new homes to suit the most sophisticated tastes. Our all-around commitment to the precise execution of the building process means that you can rest easy while we bring your vision to life. From kitchen remodels to room additions, we can help you transform your existing home into a masterpiece of building construction. Whether you are looking to convert something traditional into something contemporary; or simply want to expand on something spectacular, we can help bring your ambitions to life. I Am Worried About Costs. Does Mr. Build Stick To Budgets? We know that building a custom home is a major undertaking. We also know that finding Orange County home builders that are trustworthy is also stressful. As a result of these general client concerns, we’ve taken a unique approach to helping clients manage their costs. You’ll never have to worry about escalating costs with us because we make sure the initial consultation is thorough and complete. We explore and discuss even the minutest of details, giving you a comprehensive sense of what the building process is like and what precisely, it will cost. Once these costs are established there are few if any deviations that you should expect. Custom Home Builds Can Be Tricky. Do You Have Good Experience Building In This Area? Mr. Build has been building homes since 1979 and has delighted hundreds of clients with their new homes during the process. We never brag about our accomplishments and rely heavily on the wonderful feedback left for us by our satisfied customers. Our numerous 5-star reviews on Yelp and Houzz show the extent to which we are regarded by clients all throughout Orange County and Los Angeles. We therefore welcome new clients with confidence and are fully committed to helping each new homeowner achieve their goals. How Long Do You Typically Take To Build A Custom Home in Orange County or Los Angeles? Each new custom home project is unique and as a result presents its own demands and challenges. But we understand these complexities very well so you’ll never have to worry about a protracted, drawn out process that potentially drives up costs and creates inconvenience. We work closely to your vision and stick to timetables set at the early stages of the engagement. As a result of this stringent adherence to client goals, we typically deliver your home anywhere from 6 – 12 months. And we always take advantage of opportunities for early completion. What Are Your Employee and Subcontractor Policies? Custom home builds typically call on the skills and experience of a wide range of construction personnel. As such we make sure that every contractor and subcontractor involved in the building process is properly insured and licensed to carry out the work designated to them. Vetting is of the highest standard so you never have to worry about the involvement of unscrupulous individuals. That’s part of our guarantee to every client we take on. Can I Supply Some of The Labor? From time to time we take on custom home builds for clients who want to make some contribution to the process. These clients typically know someone who has some experience in the building trade and want to reduce costs by limiting the scope of work that we take on. This is fine. To ensure the smooth and efficient running of such a project, we always conduct a detailed assessment of any such external involvement, laying clear lines of involvement and responsibilities. Our success is based heavily on the success of our clients and we protect this mutual success by providing a warranty on our work. Our warranty period is 5 years and is very competitive relative to the industry norm. How Do You Bring My Vision To Life? Building a custom home draws heavily upon the vision and imagination of the potential homeowner, but often there is a gap between desire and the finished product. To narrow this gap we use the latest in 3D rendering technology to tweak your vision and express it in the form of a clearly defined plan. By using this approach you are able to make the refinements necessary to achieving your goals and nothing is left up to chance. Do You Help With Lot Selection? Most clients who seek out new home builders in Orange County, CA do so with an existing site or lot earmarked for a custom build. But some clients, when they come to us, are unsure about where they intend to build. Often they don’t have a precise location in mind. For those clients we can provide guidance on lot selection, giving them the thoughtful advice necessary in making such an important selection. Is Mr. Build Limited To A Narrow Set of Styles? Our extensive experience designing and building custom homes means that there is hardly a style request we can’t handle. Art deco, contemporary, colonial, mid-century modern, we’ve built them all and more. No style request is too big or challenging for us so you needn’t worry that your dream will stall. We’ll work with you to bring your house style to life. Mr. Build built us a house from the ground up, no redo or addition a completely new house on a vacant lot. 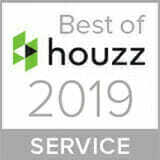 It is the house of our dreams and we would highly, highly recommend them them to everyone... Our neighbors even commented how hard working they were and never seemed to just stand around. Our project manager, Ami, was the best and our house would not have been built without him. He is the calmest person I have ever met and nothing phases him, he just gets the job done and never, never offends anyone.